This is a story about greed and corruption, about blind ambition and selfishness. The merger between Bank of America and Merrill Lynch during the financial crisis is historically significant, and represents the unethical behavior of many executives on Wall Street. John Thain, former CEO of Merrill Lynch, and Ken Lewis, former CEO of Bank of America, were so focused on their own pursuit of greater compensation and power that they ignored the warning signs and understated the severity of the financial situation. It should be noted that we have seen the notion of “too big to fail” long before Congressman Stewart Mckinney’s use in the 1984 Congressional hearing. There was once a ship, a rather large one called the Titanic , whose creators believed that its size and technological advances made it indestructible. The biggest ship of its time, it set off on its maiden voyage to much glory and praise. 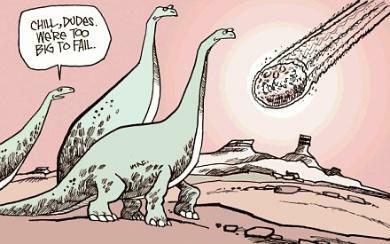 It was in every sense, “too Big to fail”. We all know how this story ends. (Side note: Titanic was financed by J.PMorgan). 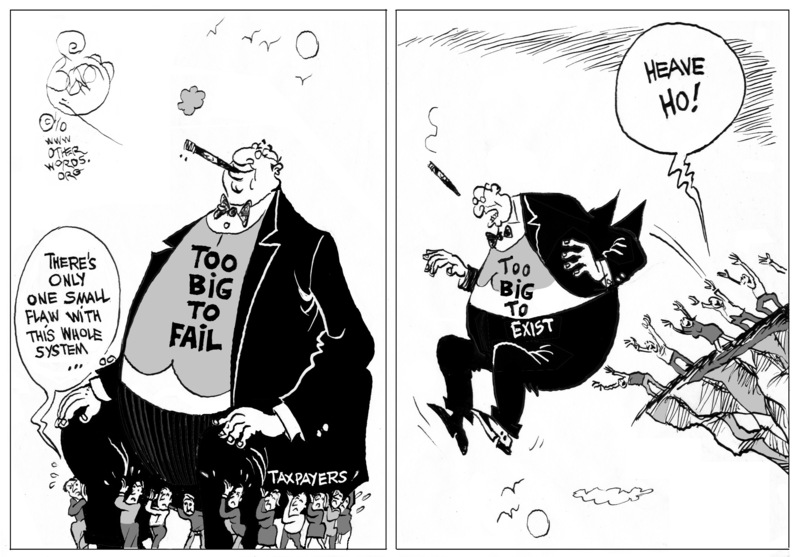 I think it is hard, especially after watching the film, to think the notion of “too big to fail” does not still exist. The 6 largest banks in the U.S control more than 66% of the $13.1 trillion worth of assets in the economy. These figures stand as evidence as to how much larger these banks have been allowed to grow. With the events that unfolded in the film, one would think government would put measures in place to make sure the exact opposite of this happened. The financial industry has slowly come under more and more of a monopoly for these larger banks as they absorb smaller banks in their path. It was interesting to see that one of the solutions presented was merging banks to make them even larger despite their already large size was the reason for the problems being faced. There is a dire need for government intervention to help regulate the market and reduce the power these corporations have over the global market. These banks were given federal funds to increase lending as a way to increase capital in the market. Instead they showed their true greed and reduced lending to one of its lowest levels in years. As former politician David Stockman said, ” If they’re too big to fail, they’re too big to exist. They should be broken up, reduced in size if we’re to have a safe and stable financial market.”(http://marketsanity.com/banks-too-big-to-fail/). However, with the ongoing shutdown it seems the government has a hard enough time regulating their own day to day business to take control of the market. These institutions should have never been given the power to cripple the entire global economy. But as the saying goes, the bigger they are, the harder they fall.